Xperi announces DTS licensees at CES 2018, including new adopters for immersive sound and premium whole-house wireless audio. A late-2017 firmware upgrade added DTS:X immersive-audio technology to to Sony's HT-ST5000 soundbar. Xperi Corporation (Nasdaq: XPER) is highlighting its latest updates and partner implementations for its DTS audio solutions at CES 2018. Amazon – The Phorus PS10 DTS Play-Fi smart speaker with Amazon Alexa functionality. Creative Labs – The X5 sound bar with DTS:X technology. Denon – New A/V receivers with DTS:X and DTS Virtual:X technology. Emotiva – The RMC-1 A/V processor with DTS:X technology. Hisense – The HS512 sound bar with DTS:X technology. LG – Adopting the DTS-HD codec in its UHD and full HD TVs in 2018, as well as introducing DTS Virtual:X technology into a new sound bar, model SK6Y, and select televisions that will launch in Europe, the Middle East and Asia in 2018. Marantz – New A/V receivers with DTS:X and DTS Virtual:X technology. Nakamichi – The Shockwafe Ultra 9.2-channel sound bar system and the Shockwafe Elite 7.2-channel sound bar feature DTS:X technology. Sony – A new line-up of DTS:X-enabled A/V receivers for 2018, as well as the award-winning HT-ST5000 sound bar with DTS:X technology. Soundcast – The VG10, the world’s first wireless outdoor speaker enabled with DTS Play-Fi technology. SVS – The Prime Wireless speaker system and the Prime Wireless SoundBase with DTS Play-Fi technology. Works with Amazon Alexa functionality for DTS Play-Fi technology – The Pioneer Elite Smart Speaker F4, Onkyo Smart Speaker P3 and the Phorus PS10 Smart Speaker now support Works with Amazon Alexa functionality, allowing consumers to control their wireless multi-room audio system from an Amazon Echo, Show or Dot. Additional DTS Play-Fi-enabled products, including the Klipsch Stream wireless multi-room audio lineup and products from Macintosh Labs, MartinLogan and THIEL Audio, will add the capability by the end of Q1 2018. DTS Headphone:X 2.0 for Gaming Headphones – The newest generation DTS Headphone:X 2.0 was designed with gamers in mind. Building on market-tested, user-approved 3D virtualization over headphones, DTS has made major improvements in the latest update, such as introducing proximity cues and support for channel-based, scene-based and object-based audio. DTS Audio Processing 1.0 for Mobile Phones and Tablets – DTS Audio Processing 1.0 provides must-have post-processing, including dialog enhancement, optimized bass response and micro-speaker distortion prevention. DTS Audio Processing 1.0 also includes up to three configurable content preset modes to provide an amazing listening experience for any content type. 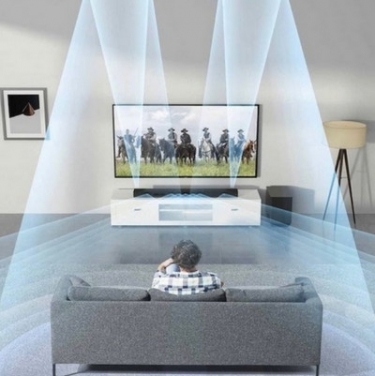 DTS:X Premium 1.0 for Mobile Phones and Tablets – For the best-sounding multi-channel audio for media playback, the DTS:X Premium 1.0 solution provides amazing 3D audio across multiple stereo modes and multi-channel support for up to 7.1 channels. It includes four configurable content presets and comes with the DTS-HD® Master Audio decoder, providing listeners access to a world of high quality content. DTS:X Ultra 1.0 for PC and Mobile – This product represents DTS’ best immersive audio experience for games, VR and AR experiences. DTS:X Ultra supports 5.1 and 7.1 multi-channel audio, enables first-order ambisonics sound extraordinary and provides support for audio objects. Additionally, redesigned post-processing for speaker and headphone routes include enhanced bass response, an ultra-realistic head tracker and headphone tuning for up to six pre-loaded, featured headphones.